By phlaw| 2019-04-17T12:50:17+00:00 April 17th, 2019|Transfer of Property Act|Comments Off on Transfer of Property Act, 1881, S.60–Redemption of Mortgage-Doctrine of Severability-Sale of share by co-sharer-Contention that by applying the doctrine of severability, redemption of the property which was not sold, should have been ordered-Contention rejected-Held; an appropriate remedy for the plaintiffs was to seek partition as alongwith defendants/subsequent vendees, who were the mortgagees had acquired the title of co-ownership-Doctrine of severability cannot be applied in such circumstances as the mortgage deed has to be read as whole and cannot be split. 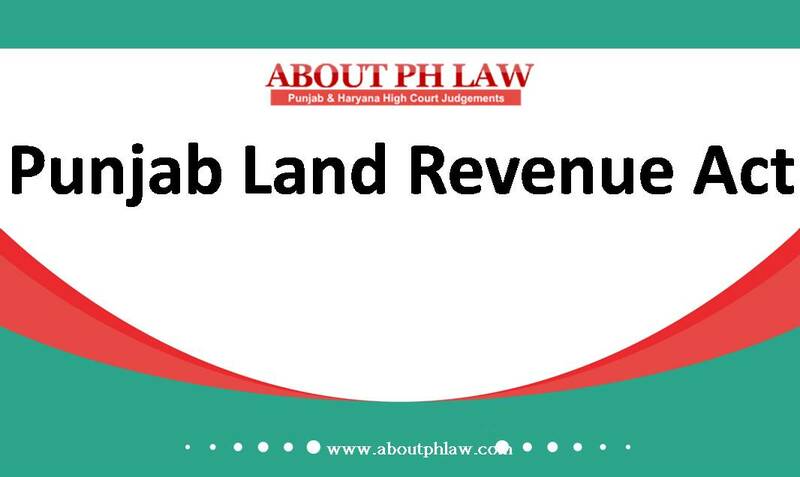 Transfer of Property Act, 1881–Exchange of Land—Plea of fraud—Once the document of exchange was a registered document and that even at the time of mutation no objection was raised, the appellant cannot now take the plea of fraud. December 25th, 2018 | Comments Off on Transfer of Property Act, 1881–Exchange of Land—Plea of fraud—Once the document of exchange was a registered document and that even at the time of mutation no objection was raised, the appellant cannot now take the plea of fraud. Transfer of Property Act, 1881-Oral Transfer-Concept of oral transfer is not applicable in Punjab since 1977—Consequently, any transfer which had to be made could only have been made by a registered document– A resolution followed by a mutation could not pass the title from the school in favour of any person. 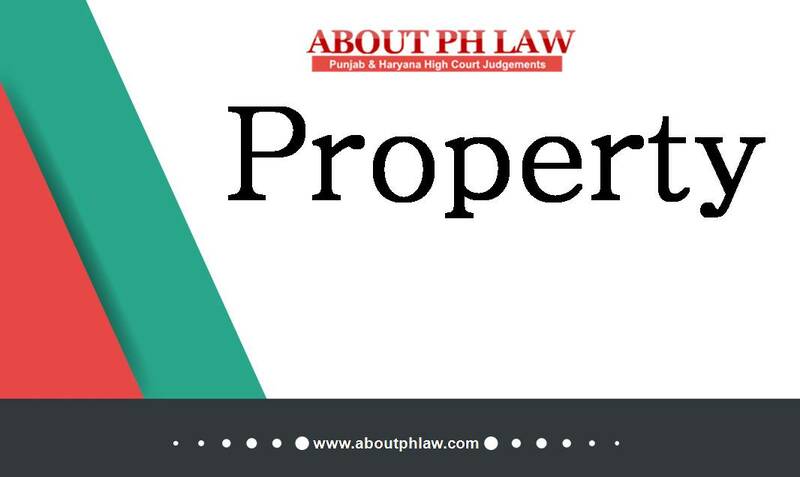 December 1st, 2018 | Comments Off on Transfer of Property Act, 1881-Oral Transfer-Concept of oral transfer is not applicable in Punjab since 1977—Consequently, any transfer which had to be made could only have been made by a registered document– A resolution followed by a mutation could not pass the title from the school in favour of any person. Transfer of Property Act, 1881, S.60—Redemption of Mortgage—Usufructory Mortgage—The mortgage was a usufructuary mortgage with delivery of possession and there was no period prescribed for redemption of the mortgage- -In such case, the period of redemption does not begin to run till mortgagor requests for redemption and mortgagee refuses to redeem. November 23rd, 2018 | Comments Off on Transfer of Property Act, 1881, S.60—Redemption of Mortgage—Usufructory Mortgage—The mortgage was a usufructuary mortgage with delivery of possession and there was no period prescribed for redemption of the mortgage- -In such case, the period of redemption does not begin to run till mortgagor requests for redemption and mortgagee refuses to redeem.